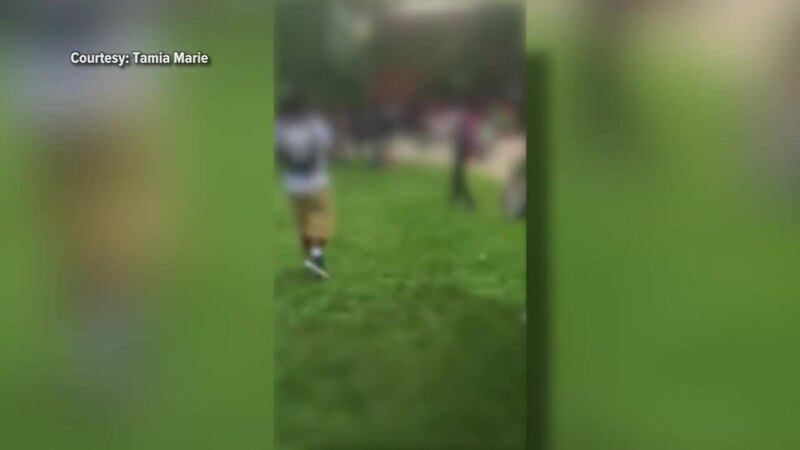 INDIANAPOLIS -- Indianapolis Public Schools says "safety enhancements" will be in place Friday at Arsenal Tech High School after 13 students were arrested and eight people were injured when a fight broke out Thursday afternoon. Three of the injured people were transported to local hospitals, the other five were treated on the scene, according to a spokesperson for IPS. A police spokesperson said only about 8-10 people were involved in the fight, but the rest of the crowd was spectating the fight. No weapons were involved. At least one officer with the Indianapolis Metropolitan Police Department was injured, according to Call 6 sources. Indianapolis Public Schools police say 13 students were arrested in connection with the incident and charged with disorderly conduct. 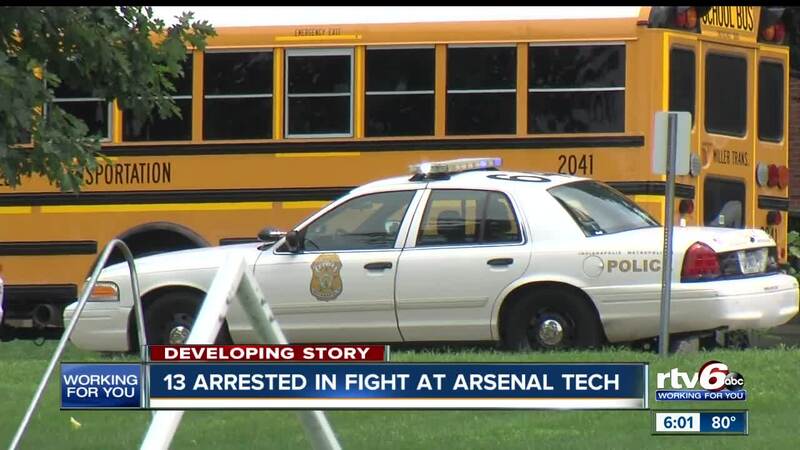 Arsenal Tech did a "strategic dismissal" of students following the incident to get students home safely. IPS says classes will be in session at Arsenal Tech on Friday. Increased security by IPS Police, in cooperation with IMPD. The IPS Crisis Response Team, a group of counselors and social workers, has been activated and will be on campus to provide emotional support to students. Staggered lunches and a staggered school dismissal. Several students recorded cell phone video during the incident inside and outside the school. Some of those videos are below. 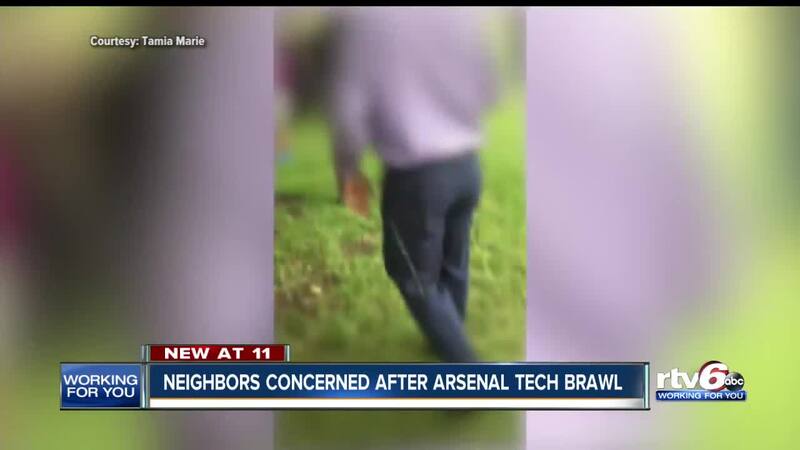 Arsenal Tech has seen multiple fights in the past few years.